You have all the good rider's equipment: the integral protection, the full helmet, and you're ready to take out your MTB? But maybe you still miss the MTB mask? The MTB mask is identical to the BMX mask. 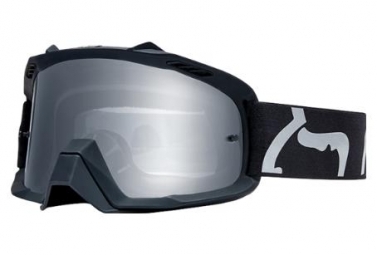 They're used for extreme MTB practices, such as DH or Freeride to protect the eyes. Some mountain bikers also use masks under extreme climatic conditions to prevent mud projections. For these practices the mask is therefore indispensable to avoid branches and projections. The MTB mask is wide and offers a wide field of view. The foam at the edge of the mask makes it possible to limit the sweat and especially brings a not negligible comfort. The shape of the mask is adapted to be perfectly integrated into the full MTB helmets. Among the great opticians are the Oakley mask, very popular with mountain bikers or BMX riders. The choice of an MTB mask is mainly based on the type of glass and most brands offer several types of glasses. As for MTB glasses, the lenses of the masks use the same "colour codes". From orange to blue, through the transparent, the choice of shades is great to adapt to all the terrains and all the climatic conditions. The mask's frame is a personal aesthetic choice. Manufacturers give importance to the design of their mask and this includes the style of the frame (headband and outline). Find all our mountain bikes on Alltricks at unbeatable prices delivered in 24-48h.